Of the total World Heritage properties, the Tasmanian Wilderness World Heritage Area (WHA) is one of only 13 properties that satisfy both natural and cultural criteria. The Tasmanian Wilderness WHA protects one of the last true wilderness regions on Earth and encompasses a greater range of natural and cultural values than any other region on Earth. The Tasmanian Wilderness WHA covers approximately 1.38 million hectares (or about 3.46 million acres) and represents about 1/5 of the area of the island state of Tasmania. It protects vast tracts of high quality wilderness, which harbours a wealth of outstanding natural and cultural heritage. The area is formally recognised through World Heritage listing as being part of the natural and cultural heritage of the world community. The core area was inscribed on the World Heritage List in 1982 on the basis of all four natural criteria and three cultural criteria, satisfying enough criteria to be rated number two in ratings of the World Heritage properties on Earth. Lake St Clair, just 5 kms from Derwent Bridge Chalets & Studios, forms part of this area. This beautiful lake is the deepest fresh water lake in the southern hemisphere at 167m ( 548ft) deep. The mood of the lake constantly changes, from a mirror surface one moment, to a white capped wave surface, created by a howling wind. It conserves a diverse array of both natural and cultural features of outstanding global significance. The region provides pristine habitats for a range of plants and animals that are found nowhere else in the world, including many rare and endangered species. 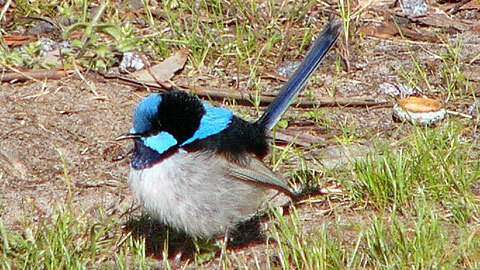 For a number of animals which have become extinct on mainland Australia in recent times, the area offers a last refuge. The WHA is the Australian stronghold of temperate rainforest and alpine vegetation. Its landforms are of immense beauty and reveal a rich and complex geology. Aboriginal occupation extending back beyond 36,000 years, combined with nearly two centuries of European settlement, have created a legacy of humanity's interaction with the wilderness. The dramatic landscapes of the Tasmanian Wilderness WHA reveal rich insights into the forces that have shaped and continue to shape, the Earth's surface. The oldest rocks date back to the Precambrian period, over one billion years ago. Such rock types -- for example, quartzites and quartz schists -- form some of the most spectacular mountains of the WHA, such as the shining white half-dome of Frenchman’s Cap - only 40 minutes away from Derwent Bridge. Sandstones, siltstones and conglomerates, dating back to the Cambrian and Ordovician periods contain a variety of ancient marine fossils. These reveal a legacy from a distant past when what we now call Tasmania was beneath a shallow, tropical sea. Permian and Triassic sedimentary rocks and fossil assemblages resemble similar deposits on other continents and provide evidence for the existence of the supercontinent, Gondwana. The landscape reveals features associated with the separation of the Australian and Antarctic plates during the latter stages of the break-up of Gondwana. During the Jurassic, some 170 million years ago, tectonic activity associated with the fragmentation of Gondwana and subsequent faulting laid the foundations of the dolerite mountains typical of much of the WHA. The final stages of the breakup of Gondwana during the Tertiary resulted in further widespread faulting producing a landscape very similar to that occurring today. The beautiful, rugged mountain landscapes so characteristic of the Tasmanian Wilderness are largely the legacy of at least three major glaciations during the Pleistocene (2 million-10 000 years ago). Thousands of highland lakes and tarns, cirques and U-shaped valleys have been carved by the massive erosional force of glaciers. Depositional features such as outwash gravels and moraines which hold back the waters of lakes are typical features of the landscape. Huge boulders known as erratics which have been carried by glaciers far from their parent rock sit incongruously upon the landscape, testimony to the power of these rivers of ice. Fluctuating sea levels during the glaciations also provided conditions for the development of a wide range of coastal features including a diverse suite of coastal dunes. The Tasmanian Wilderness WHA means different things to different people. For some, just knowing it is there brings a vicarious joy. Others, seeking to escape from an increasingly artificial urban world, find solace within the silent grandeur of its mountains. Yet others enjoy the area as a magnificent backdrop to outdoor recreation activities, such as bushwalking, rock climbing or rafting. Many people just enjoy an easy stroll along one of the many fine short walks. For all people who visit the Tasmanian Wilderness there is the opportunity to be deeply touched by the experience. 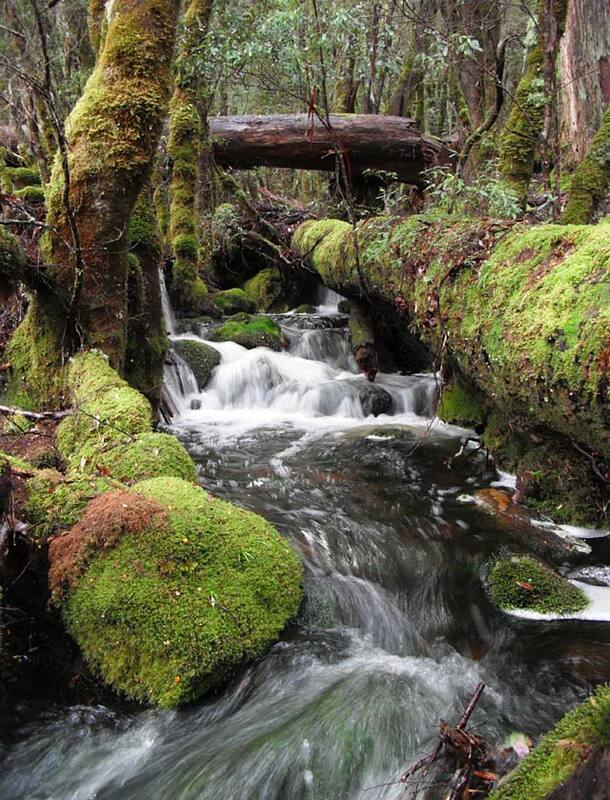 The values of the Tasmanian Wilderness World Heritage Area extend far beyond those that led to its listing as a World Heritage Site, for its values extend far beyond those that can be assessed in words. For all who visit the WHA, there is the responsibility to ensure that your impact upon the wilderness does not destroy the very values for which the area was listed and which draw you here.